There is a tremendous degree of hidden order behind everything. Here is a chart we have been publishing for decades. 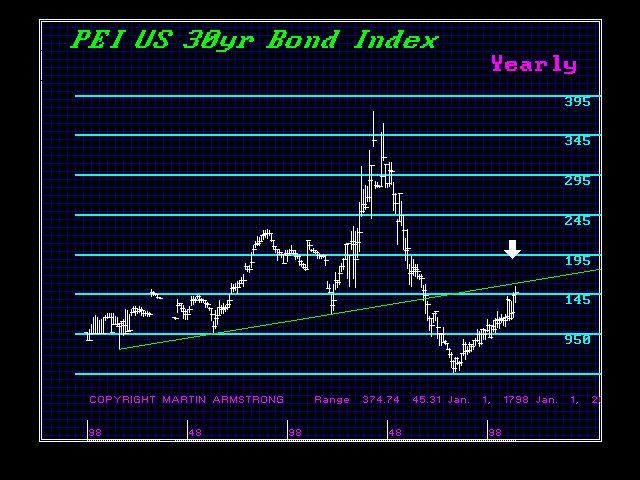 We created a continuous chart of the US government 30 year bonds back to inception. Look at the uptrend line. We reached our target objective here and it was a retest of that technical line. This is the kiss-of-death. 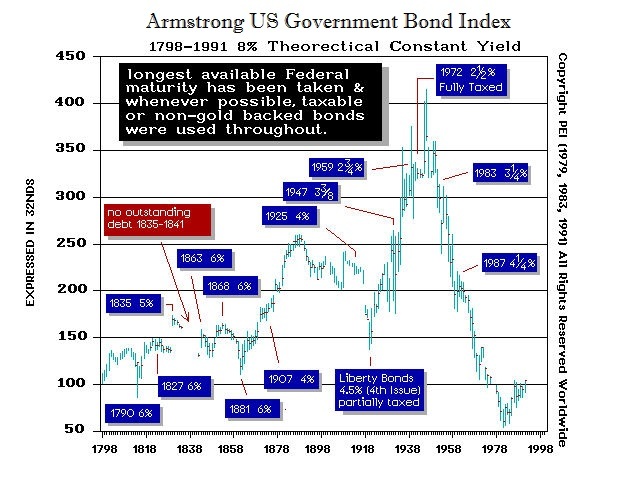 The government bonds look like absolute disaster long-term. The good news – the US is the best of the entire group of nations. How was this created? 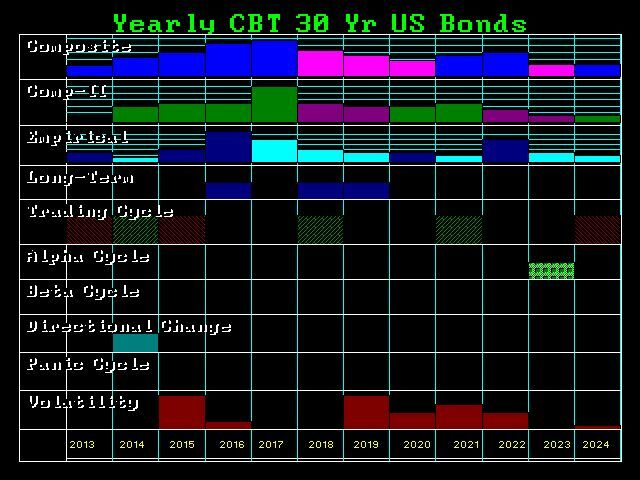 Here is the chart showing each series of bonds used. In creating this view it enables us to see the broader trend that even refects the confidence within government. Our computer models suggest that rates will rise into 2017. This uptrend appears to be set in motion thanks to the short-term nature of the national debt.